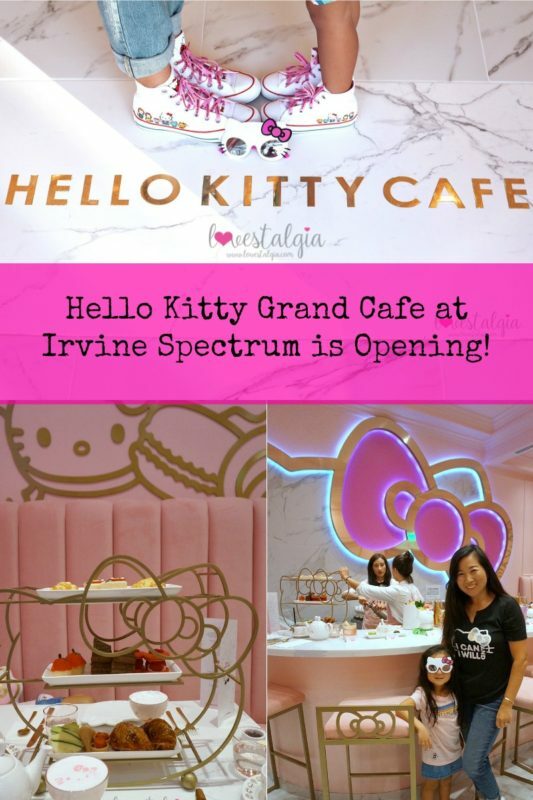 Home Lifestyle	Hello Kitty Grand Cafe at Irvine Spectrum is Opening! 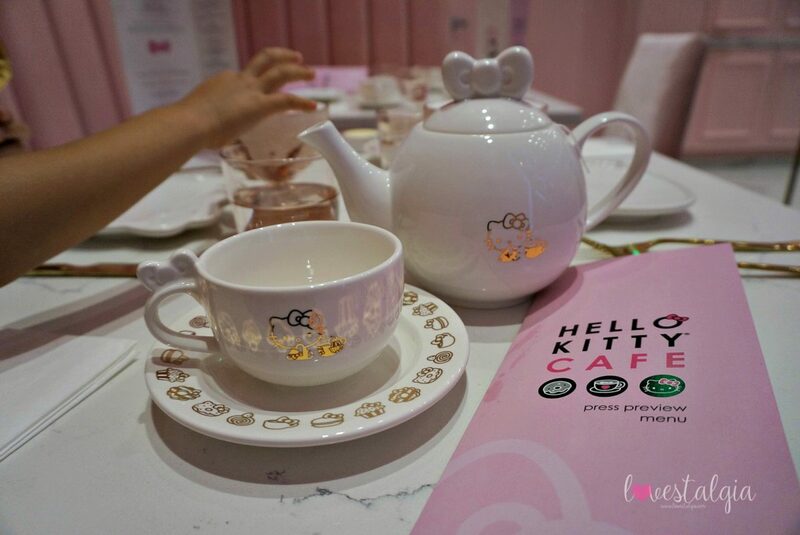 The Hello Kitty Grand Cafe will offer an expanded menu of freshly baked, cakes, cookies, donuts, seasonal goodies and handmade hot and iced drinks as well as a selection of Hello Kitty merchandise. 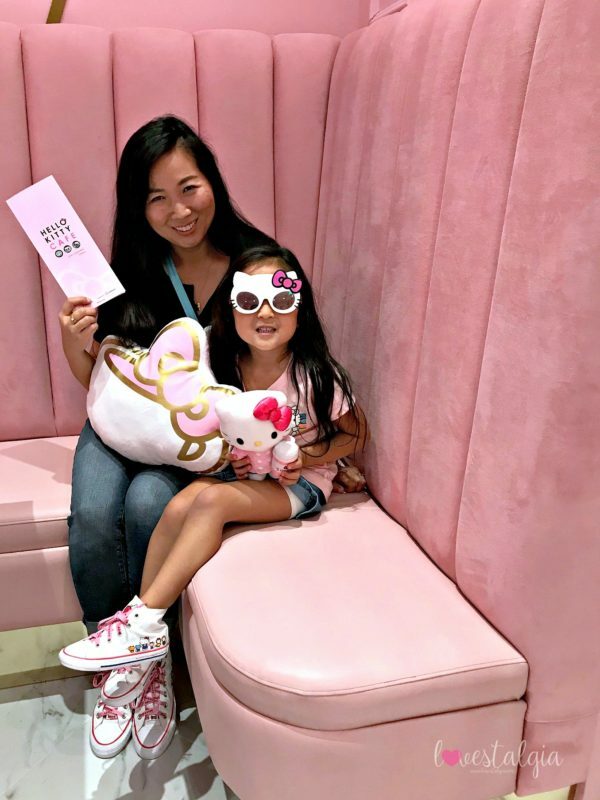 There is also a small seating area inside the cafe and plenty of seating outside at the Irvine Spectrum Center by the Ferris Wheel. 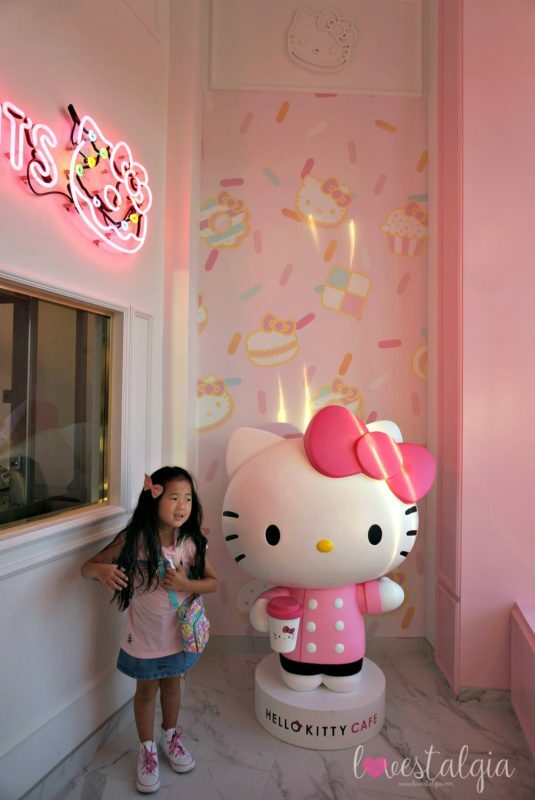 There are so many photo ops throughout the store to delight Hello Kitty fans of all ages! 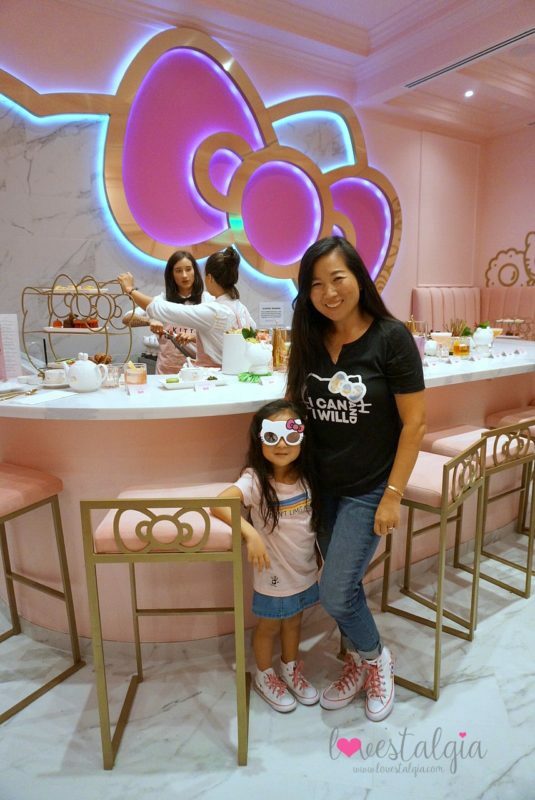 One of the most ADORABLE things about the Hello Kitty Grand Cafe and what sets them apart from other Hello Kitty Cafes is that they have a “secret” Bow Room. 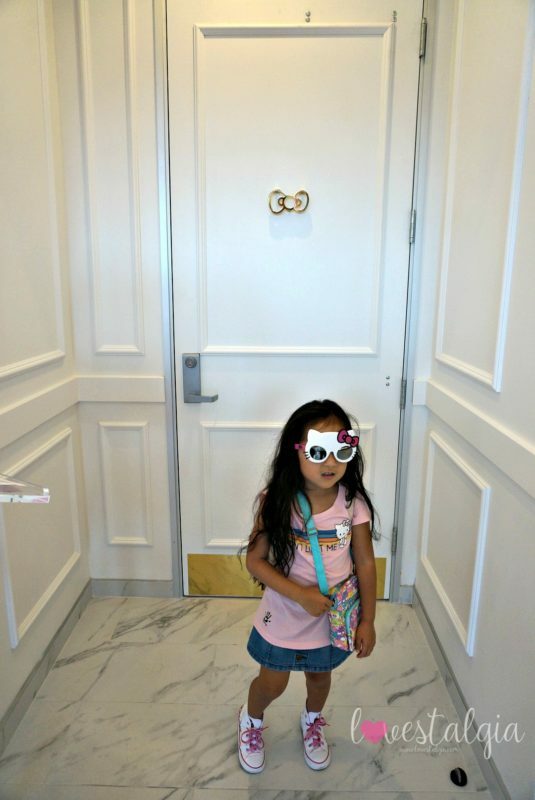 The Bow Room is behind this white door with a gold bow knocker that you can actually use to knock on the door! 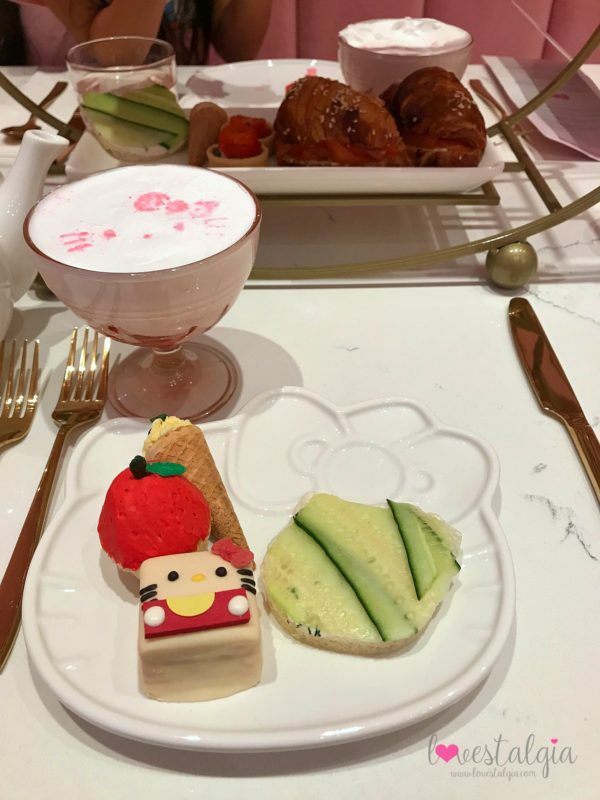 The Bow Room is home to an afternoon tea service or evening cocktail service on select days of the week and weekend. 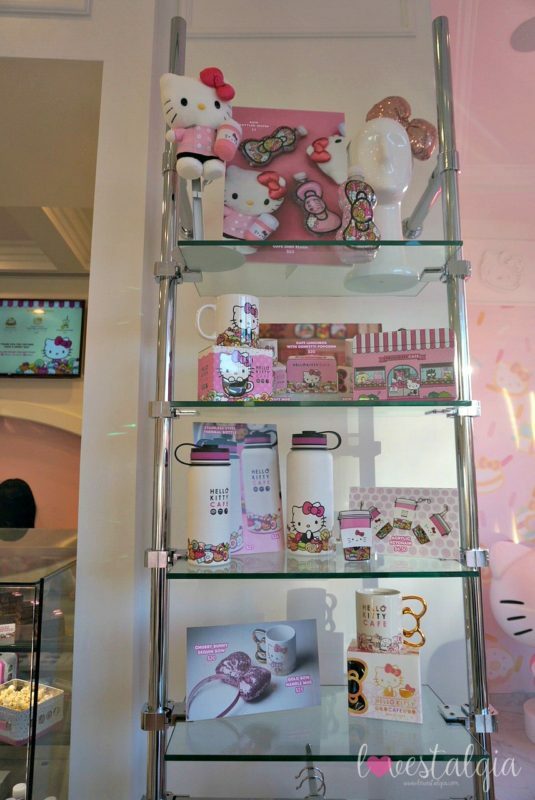 But it is only available by RESERVATIONS online or via telephone (949-329-8629). The reservations are available 30 days in advance. The Bow Room has a maximum capacity of 28 people and can not be reserved for parties or events at this time. That may be something they consider in the future. 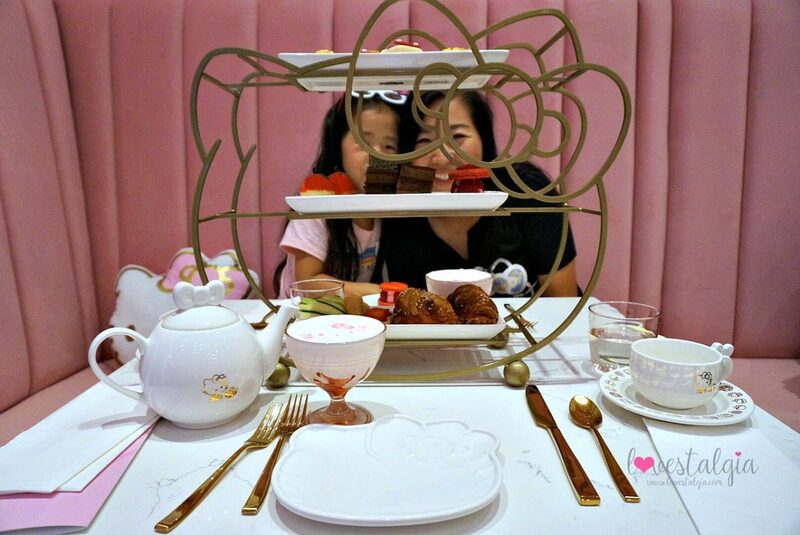 A minimum of 2 people is required to make reservations for the tea service because all tea sets are served in multiples of two. 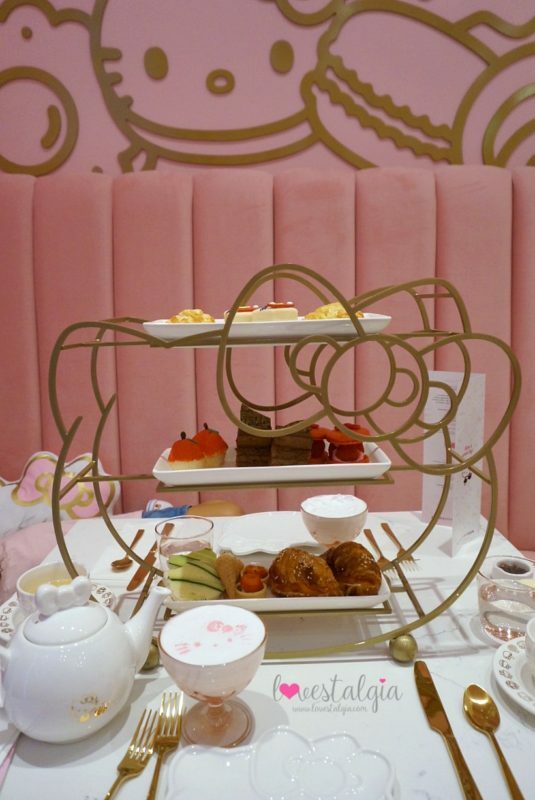 The tea menu includes an assortment of sandwiches, pastries and tea. 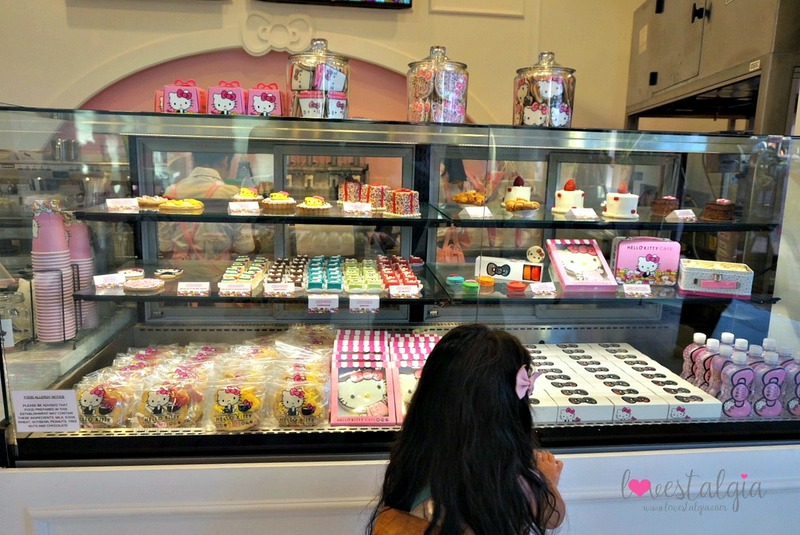 My favorite was the smoked salmon on a mini pretzel croissant while A loved the chocolate cake and raspberry macaron. 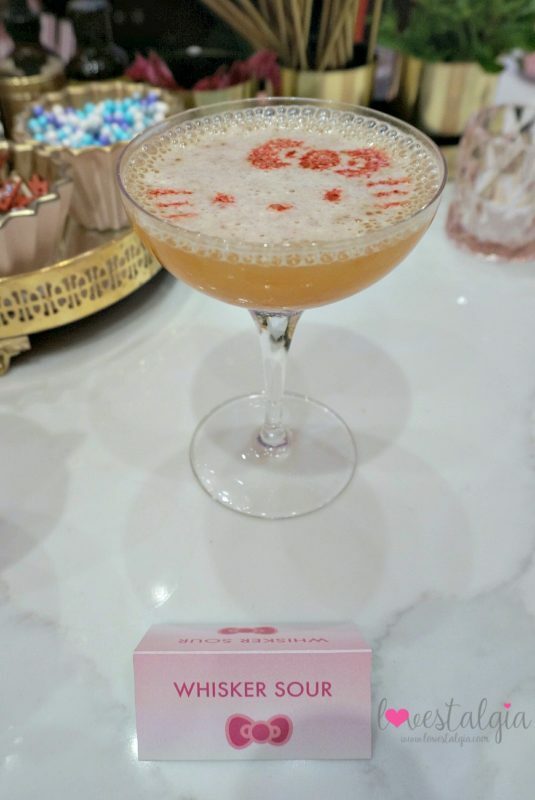 1974 ( choice of an Old Fashion or Classic Negroni served with a signature Hello Kitty ice cube, $14). So is this a place that you need to visit? YES. If you want to go to The Bow Room, you must make reservations because they are filling up fast. 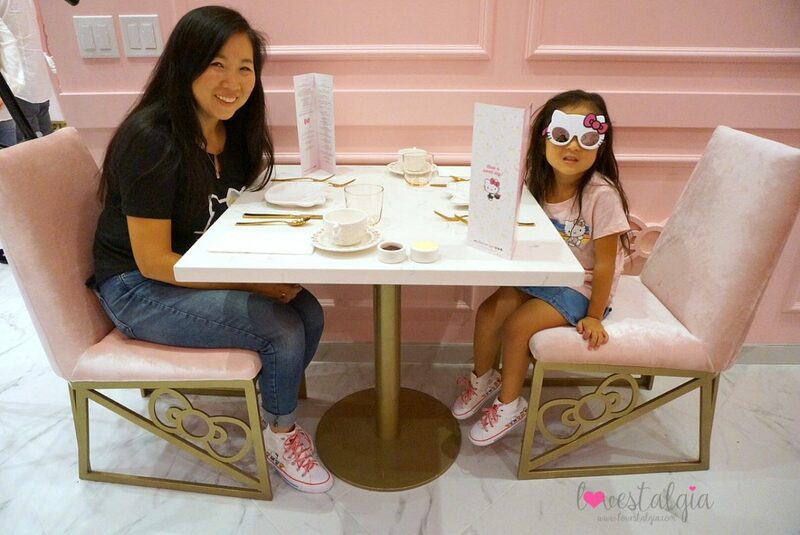 My daughter and I had a great time trying out their tea service and seeing the amazing decor inside The Bow Room. If you think the pictures are cute, seeing it in real life is even better! 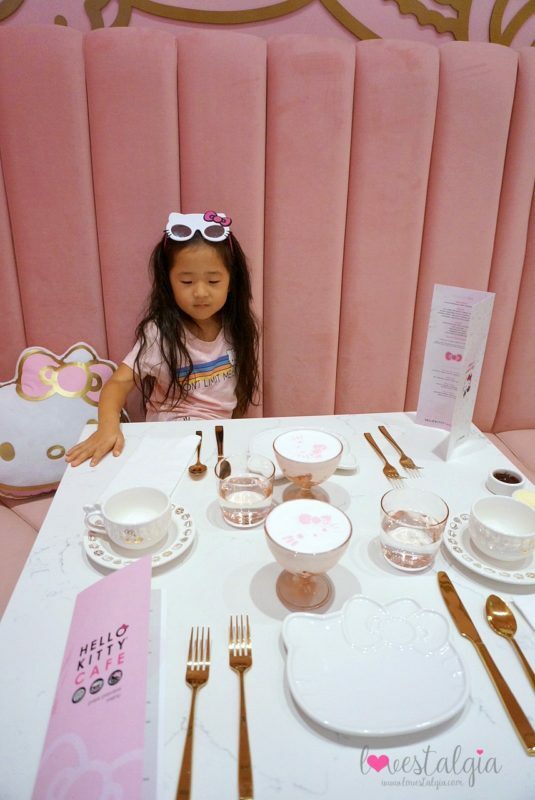 If you don’t get a chance to go anytime soon, remember that the Hello Kitty Grand Cafe isn’t going anywhere. It will be around for a long time! 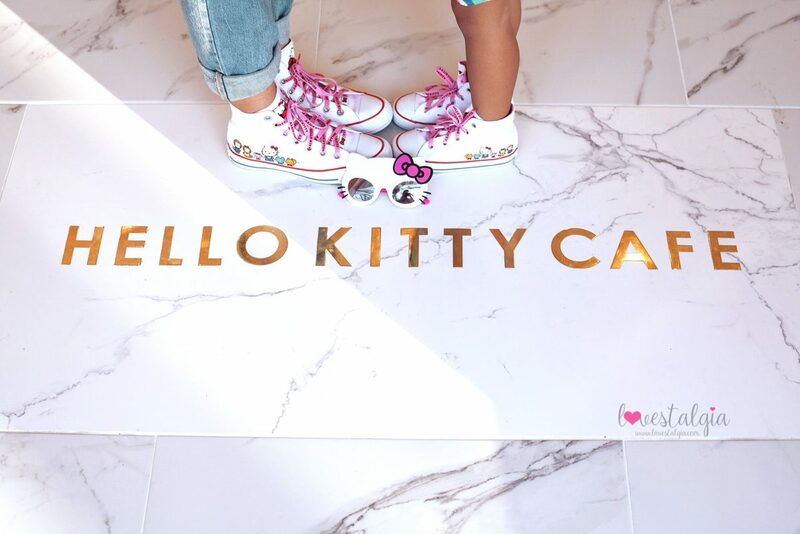 Do you love Hello Kitty just as much as we do? 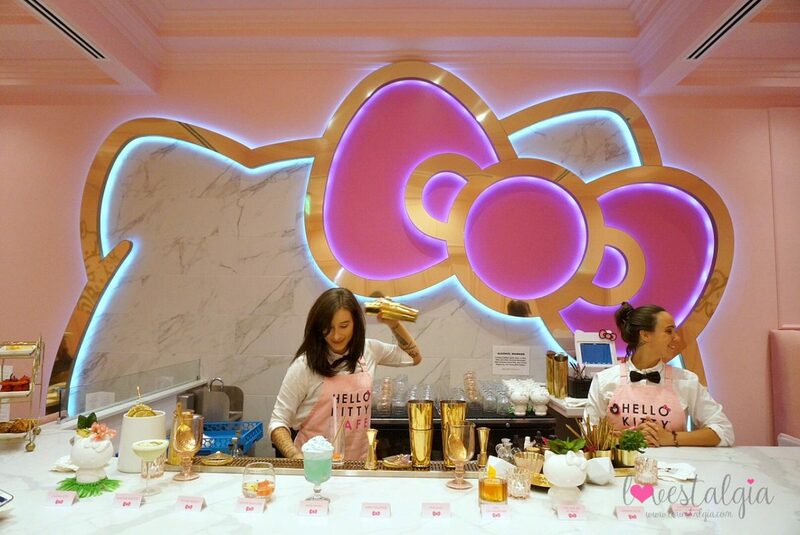 Ahhhhh I need to go here for sure next time I’m in town!!!!!! !